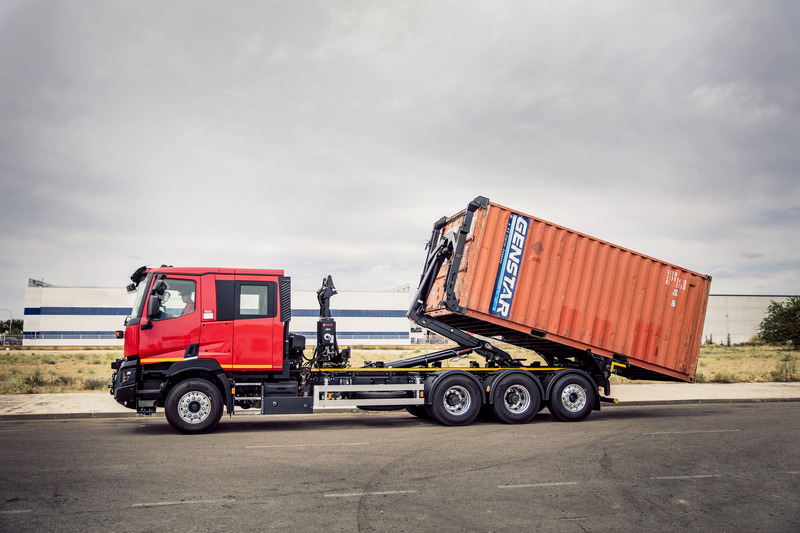 Hiab, part of Cargotec, has launched an innovative new product to handle containers safely and efficiently in locations where no infrastructure exists to load or unload containers from a truck. Originally developed for the logistics needs of governmental organisations, the MULTILIFT COMMANDER container handling unit is an application for the popular MULTILIFT XR21 hooklift that enables both ISO 1C and 1CC freight containers, and DIN standard demountable flatracks, to be handled by the same truck. "This is a new application for the commercial hooklift market. It adds value and versatility to our customers' hooklift trucks, as switching from handling flatracks to lifting ISO containers weighing up to 16.5 tons can now be done at the simple push of a button," says Henri Janhonen, Director of Sales and Product Business Management for Demountables at Hiab. "It effectively means that our customers can transport a container to any location that a truck can access, where no infrastructure such as a port crane or heavy forklift truck exists, and drop it off and collect it again at any subsequent date. The cost savings and flexibility that this provides will make a massive difference to their ability to transport goods to and from inconvenient sites, or remote locations. Uses for the MULTILIFT COMMANDER include cargo and intermodal applications, or large warehousing, construction, and project logistics." The product is new to the commercial market, but has been in use for many years in the governmental sector, where thousands of MULTILIFT units have been supplied. Supreme durability and adjustability come as standard as a result. Available in two lengths for 3-axle or 4-axle trucks, the COMMANDER container handling unit consists of three parts: a lifting frame and rear support rollers, both made from high-tensile steel, and a stowage frame. Control is integrated into the easy-to-use hooklift control system. An electric actuator moves the lifting frame from the stowage position to the lifting position, and a pneumatic safety latch in the hooklift firmly secures the lifting frame to the hook, preventing the lifting frame from shifting whilst in use. The rear rollers are fitted directly to truck's chassis to support the container, and side guards help to guide the container during loading and unloading. Once loaded, the container is securely locked onto the truck with two ratchets at the front and two twist locks at the rear. When not in use, the container-lifting frame stows neatly behind the cab. The MULTILIFT COMMANDER is suitable for many applications, including the emergency, fire, and rescue services; special logistics applications; greenfield infrastructure projects; and factory to terminal transportation from remote sites. 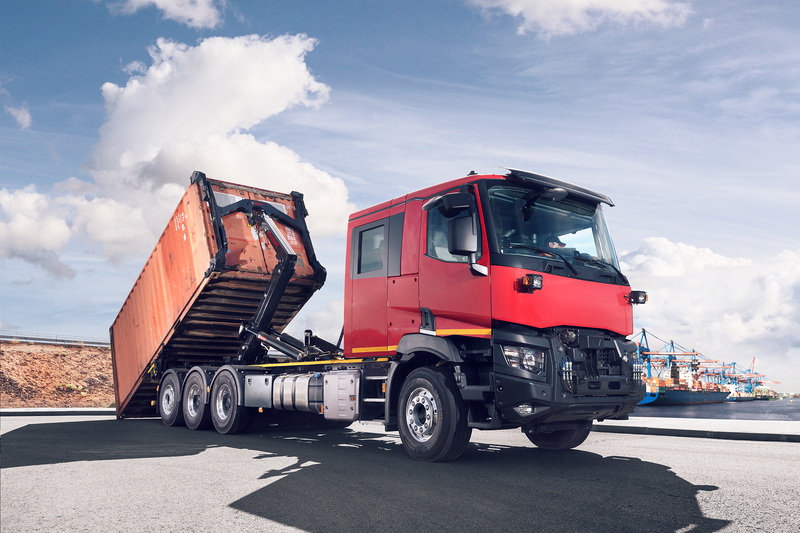 Find more information about MULTILIFT COMMANDER on hiab.com and at the dedicated product video. Further details about MULTILIFT COMMANDER are available in the product brochure.